The Loyalty Program is just our way of saying how much we appreciate your business! Nothing fancy and participation is voluntary. It requires nothing more than simply contacting David Cook or Kenda Todd at the telephone or email listed below to determine how many loyalty points you have accrued in our system. Each property, casualty, liability or surveillance claim assigned earns 500 value points that can be transferred toward a “Loyalty Item” once you achieve that specific level. Have a Starbucks coffee card on us or hold your points for a Yeti tumbler. Take a look around and feel free to give us a call whenever you achieve the level you prefer. The program allows for any claim assigned starting May 1, 2016 and forward, so you might already have points in the system. Reusable no-drip handles with built in straws to add to the fun. Just add juice, yogurt or your favorite liquid & freeze for a deliciously fun treat anytime. Limit your desktop clutter and navigate with ease (on most surfaces) using this HP x3000 2.4GHz wireless mouse. Keep your USB-enabled devices powered and ready for use wherever you go; includes portable charger and USB charge-and-sync cable. Color Wonder mess free coloring book and marker set. Markers won’t color on skin, furniture or fabric. Marker color will only appear on special paper. Serious sport or a fun toy for the kids, this LED light-up flying disc operates with push on and off button; long life replaceable batteries (not included). Resists water, shocks, extreme temperatures & x-rays to allow use in a variety of harsh environmental conditions. Class 10 rating enables smooth, high-def video. Light up the night with this water-resistant, floating, super bright motion sensor LEDs NightBall football (no batteries or inflation required). Double-wall vacuum insulation keeping drinks super cold. No Sweat Design keeping fingers dry & no coaster needed. Never shatter on impact. Charge up to 5 devices while you travel with this vehicle charger. The 5′ cable provides plenty of reach. Charge and protect your Bluetooth headset with this charging case. 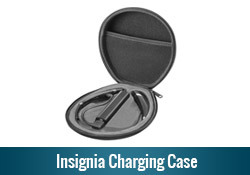 The included micro USB charging cable lets you power up the case with ease. Forecast of 12 to 24 hour weather conditions; generated from weather data measured by a sensor in your yard. Wall mountable. This warmer portrays the beauty of art nouveau seen at the Museums in Catalonia – safe, clean heat source (40W vintage/Edison bulb), no flame or soot residue. Features high-speed cores that deliver high initial ball speed on full-swing shots and playable feel in the short game. Made of heavy-duty waterproof vinyl for long-lasting use; has shoulder strap, sternum straps for easy carrying with bungee storage system for convenience. Features 6 cup holders for beverages within easy reach; holding 72 cans with ice. Tough construction, 3 air chambers & 4 heavy-duty handles. This is a great group option! Want to exchange your loyalty points as a group and have lunch on us? This device provides more than 2,500 channels on demand and features more than 300,000 movies and TV shows. Seamlessly switch between calls and music with this Insignia™ Bluetooth headset, which features an in-ear design for rich stereo sound. Keep in touch at a distance of up to 23 miles with these Cobra 2-way radios, which feature 22 channels for clear communication. FRS & GMRS Radio Guide. Listen to your favorite tunes with this rechargeable iHome speaker, features a Bluetooth interface, so stream music from most Bluetooth-enabled devices. Chop, mix, blend, whip and grind in 10 seconds or less to make fast, tasty meals. Includes 1 party mug, short cup, flip-top lid & high-torque power base, 2 comfort lip rings, 10-sec recipe book & stainless steel cross blade. Tough, hard-wearing personal drink cooler maintains ice twice as long as plastic tumblers — and it works just as well for hot beverages. Simply inquire with Kenda or David for your point total at any time. *All orders shipped to the address of your designation. Please allow 10 days for shipping and handling. No postage charge…that’s on us! Cook Claims Services, Inc. may cancel, terminate, modify or suspend the program at any time. All parties agree through participation to release Cook Claims Services, Inc. from any liability resulting from, or related to participation in the program and any and all liability resulting from or related to the prizes as they are provided by third party entities. Cook Claims Services, Inc. is not affiliated, nor do we promote the safety or guarantees made by any of the products or their manufactures.